Jack B: Jack Butala with Jill DeWitt. Jack B: Welcome to our show today. 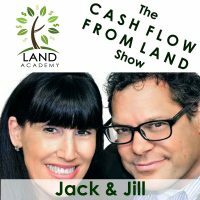 In this episode Jill and I talk about how to time release, in quotations, time release an offer campaign. Before we get into the topic, let’s take a question posted by one of our members on the landinvestors.com on-line community. It’s free. Jill D: OK. Dave asked, it’s regarding, do you want me to say the county? Jack B: Sure. He’s put it in there. Jill D: Las Animas County, Colorado. Can’t find the properties on Google Earth. I did a large mail order to Las Animas, is that right, Animas? Jack B: Yeah, you’re saying it right. Jill D: And I’m receiving a huge number of accepted offers, However Las An, now he’s, which I would too, does not a GIS system nor do they use GPS. So, this is just within the county, their information is what he’s talking about. So you must view the legal description. Boy we’ve all been here. Some have the township range and section with northeast, northwest, etc. so you can find the quarter where the properties located and use the plat map to make a little better guess. However many of the properties that I have found, do not contain the township range section data. So you have to pull the county road map to find township and range. This is so good that he’s doing all this, cause, man we’ve done this. [crosstalk 00:01:16] He’s learning it. It’s true. This is really, really good. Then view the plat map and maybe find the section. Still it’s very hard to find the exactly the right parcel. Does anyone here who has worked with Las Animas already have any tricks that they have learned help with this? I have tried to call the assessor and ask for help, and they are clueless. No kidding. I’m thinking about driving there tomorrow, three and a half hours. Well, that’s not going to help. Jack B: That’s the answer. Jill D: I mean can you really stand there. How you gonna stand there and find it if you can’t find it on the map? Jack B: Because you have a plat map. Jill D: But, how do you know where to drive? Jack B: Let me start over. 99.8 % of the counties in the country are covered on parcelfact.com, which is one of our companies. So, and Las Animas is one of those that is not. Why is it not covered? Because the county is in the Dark Ages. Parcelfact.com and RealQuest Pro, for that matter, collect data from the county. Right? I mean they literally sometimes … they have people walk in and collect data every month. Sometimes more than one time a month. And if the county’s not willing to participate or they are so unorganized or non-computerized, then it’s not included. But that’s … we always end up talking about the problem counties. Jill D: I know. Why is that? Jill D: This is very true. A huge number of offers cause no one is touching them. Jill D: That’s way old, yes. Jack B: Some new, some urban counties, like Maricopa in Arizona, they don’t even have … they don’t keep paper anymore at all. Jack B: So the answer is then to sit down with the assessor, or whoever is … if the recorder is relatively seasoned, if they’ve been there for a lot of years, they know all this stuff too. You start pulling book and pages and you will find the plat map associated with it. Jill D: And you get copies from them and take copies home and all that good stuff. And that solves that. Jack B: You know there’s a real you get a free subscription to EarthPoint.US because the guy that owns that, has solved that too. Jack B: For a lot of years, we had an engineer named Ethan. He’s no longer with us because his wife is a doctor, and he doesn’t need to work anymore. That’s the real truth. He raises the kids. Jack B: It doesn’t anymore. Parcelfacts solves it for you in the county, but otherwise, you probably, and I know Dave’s … Dave lives in Colorado. He’s rocking it in Colorado. I mean he’s knocking it out of the park. This is a guy who never knew about this stuff. He’s brand new. Jill D: Bingo, and drive there. Jill D: Pick up the maps himself, sit down and figure it. Jack B: And probably, if you need to take, look remember, you can take a picture of stuff now. Start, snap away until you’re a … until your phone’s out of film. That’s what I told. Jill D: Phone’s out of film. Jack B: Take a picture until your phone’s out of film. That’s what I told him last night. Jack B: On my God, Dad. That’s what they say. 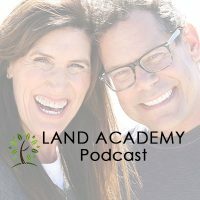 If you have a question, or you want to be on the show, reach out to either one of us on Landinvestors.com. Today’s topic – how to quote unquote time release an offer campaign. This is the meat of the show. What the hell is time release? You ever see like prescription drugs? Jack B: Or any type, even over the counter drugs, you can get them where you take it and it lasts four hours or you can get time release stuff, where it’s 24 hours like allergy medicine. Right? Jack B: It’s the same thing with a campaign. Let’s say you want to send five thousand offers out, to multiple counties or let’s say just one county, for people who own real estate or cars or boats or planes, or whatever you choose to do it with. Do you want to send all five thousand out at the same time, and just get barraged with phone calls? Or do you want to time release them and send out five hundred every week, just to spread them all out? Jill D: Well, I want to go crazy. I want to have my phone, like, blowing up. No, I don’t want that. Jack B: So, it’s a personal preference. A guy like Luke Smith, who’s one of our top producing members, and a guy like me, we just put them in the mail. We swing hard and hope for the best. Jill D: Uh-Uh. (laughs) Oh my gosh. Jack B: Which is how we play golf, too. Jill D: Yes I do. Jack B: And actually for every reason wants to talk to them on the phone, and learn about their kids and everything, which is probably why we buy tons of real estate. Jill D: Gee …. you think? Jack B: She loves a time release. The fact is I don’t blast it, shotgun the thing anymore, like Luke does. I don’t think Luke’s wife mops it up either. [crosstalk 00:07:24] So, so how do you time release it? Well, you do, the first point is that you process the mailer itself, you know the mail merge , exactly the same way that you would process all five thousand at once. And you let the printer do it for you. If you’re a member of Land Academy, and Landinvestors we use LetterStream, at a deeply discounted price and, you know, soon to be offers to owners here, we will cut up the … in the end you process the whole thing and you literally have, it’s a five thousand mailer, you have ten thousand pieces of paper, because its a 2 page offer in a pdf. So you’re staring at it in the computer. You can literally scroll down ten thousand pages. Our printer and the people who work for us at Offers2Owners are sophisticated enough to know how to take that and cut it up into five hundred unit mailers and time release it. Jack B: If you have a printer, throw it away. In the end it’s going to cost you way more money [crosstalk 00:08:29]and you shouldn’t be doing that stuff anyway. Jill D: When he means printer, he means like on your desk. You shouldn’t be printing out your own offers and signing them, and licking an envelope and putting a stamp on it. Jack B: There are very successful people in our group who still do that. I don’t understand why. And every once in a while, one of those successful people sends me an email that says, you know I’ve disagreed with you on this point for a year and I just sent out my first campaign through LetterStream or through Offers2Owners, and man, I should have listened. Jill D: Yeah. Why do you want to spend 8 hours of your time doing that? It’s what drives me crazy. Jack B: By the way, why do you want to answer your own phone? Jack B: You should never answer your own phone. You should have a call service. Jill D: People do that. Jack B: It’s incredibly inexpensive. Use Patlive or JillLive or whatever you choose. Jack B: So that’s how you time release an offer campaign. I’m not a fan of it, but I’m not the one who answers the phone in our company either. Jill D: That’s for sure. (laughs) We stopped letting you do that a long time ago. Jack B: Jill does it. Actually, once in a while she does just because she likes it. Jack B: I don’t understand that. Jill D: I like it. Jack B: A long, long time I had a sales job and a guy, our boss, this was way before the internet. And it involved door to door cold calling. I had this job for like 3 weeks. It was awful. The boss, who was real good at it, he’d like, used to say. “You know what, I’m gonna go out with you today, Steve, Jack, cause I like cold calling.” Like what? Who the hell likes cold calling? Jill D: He liked it. Well, you know what? He liked it because he didn’t have to do it all day long. And his job is not dependent on it. Jill D: Cause I could go, yeah no, I’m not gonna do that again. Jack B: Like a grandparent. Jill D: Yeah, pretty much. Jack B: This is fun for an hour. Here’s the kid. Jill D: You take him back. Here you go. (laughs) Oh boy. Jack B: I don’t have much else to say about this. Its pretty simple. Jack B: No, its good the take a way from this whole thing is, all kidding aside, you kind of want to time release it. Especially if you’re gonna answer the phone and you should be answering, you should be reading the script from Jill … reading the results of the people calling you back from JillLive or PatLive or whatever, and diligently calling these people back and try to put a deal together. Jill D: I was gonna say to, based on the response that you get, you’re gonna dial it up and dial it down. Say you’re doing a time release campaign like Jack just said, and you have a thousand letters going out a week, not crazy. Jack B: I think that’s crazy. Jack B: That’s too many. Jill D: Well OK, five hundred. Well so let’s just ,,, whatever the number is, based on the volume you can dial it up or dial it down on what you can handle. Now what your response is. And it’s really, that’s really the key too I gotta say in viewing. You gotta do these consistent time release offer campaigns. You can track your results and that will really help you be really effective if you know that … all right five hundred a week meant I got an average of, you know, thirty calls and I liked 5 of those, [crosstalk 00:11:41]and I bought 3, exactly. Now I know, all right, I know exactly what to do with this property type in this area and, I can plan my year, you know. Plan, you can really consistently plan your income almost, you know, based on what you can handle. 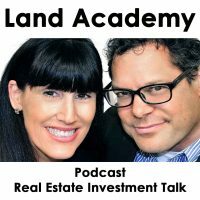 Jack B: Every once in a while I do a deal review call consulting call with somebody who says, “You know, I sent these letters out and, uh, I’m, they’re just buying the property that I thought I would buy.” This happens once every 6 months. Not exaggerating. And so I ask the same questions. Here they are. Are you answering your phone? Yes. How many calls you have to return right now? Nineteen. Well, that’s why you’re not doing any deals. Jack B: Seriously. Or here’s another one. Are you getting a bunch of calls? Yes. Are you answering your phone? Yes. Do you have a bunch … on your caller ID do you have, like, twenty-two calls where they have just called and the number’s there, and they’ve hung up? Oh yeah, I have a ton of those. Call those people back. Jack B: Hopefully you have … you’re not using your own personal cell phone. It’s a real specific number. The only reason they would call at all is because they got your number. Jack B: So every time you send a mailer out, you want to double the amount of property you buy. You’re gonna get a call, a lot of people call and they just hang up. So there’s ten or fifteen or twenty numbers in there, call them back and say hey I noticed I got your number on the caller ID. I’ve heard Jill this, do a deal right there. I got your number on the caller ID. I think you hung up. I’m sure that you’re responding to the letter. I really like to buy your property, for the number that I put in that offer … Oh yeah, thank you so much for calling me back. That’s what happens 9 times out of 10. Jill D: And yeah be efficient, by the way. This is not the time to really chat and stuff. You’ve got ninety people to call back. You need to call them all back, get all the information, put it in a spreadsheet and be efficient. Jack B: Or whatever methodology you use. Jill D: So yeah. Thank you. Jack B: So in the end, time release your offers, and answer your phone, or go through the script from the person that answered it, the results of it, and make sure you call everybody back. You have to work it. You gotta, you have to solve your own problems there. Jack B: That’s gonna be the theme this week. Solve their own problems. Jack B: To get just about anything you want. Jill D: We use it every day to buy property for half of what it’s worth and sell it immediately. Jack B: You are not alone in your real estate ambition. Jill D: That was good. Jill D: What, where’d that come from? Jack B: What, the topic? Jill D: Yeah, were you talking to somebody about that? Jill D: It just came to you. Jill D: I like it when that happens. Jill D: What’s coming to you, right now? Jack B: Oh, I like it when that happens. Jack B: Oh, it’s all steamy in here. Information and inspiration is to buy undervalued property. We’ll stop it while we’re ahead. If you have any questions or comments, please feel free to email me directly at jack@LandAcademy.com.